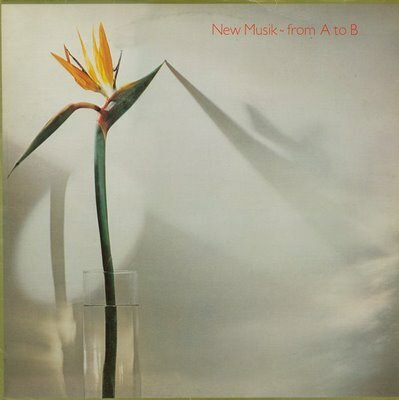 While I love 'new music' as much as any other music geek, that's not what this blog post is about: this is actually about a band called NEW MUSIK! 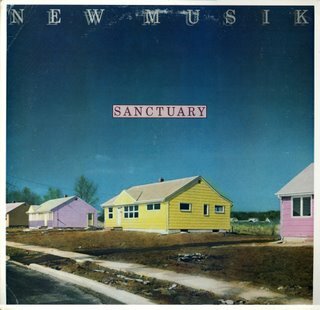 For anyone into semi-obscure '80s bands, New Musik were one of the most over-looked and under-appreciated bands of their era (late '70s and early '80s). While little was written about them at the time, they still have an internet presence (albeit small) and their albums have been reissued on CD several times. 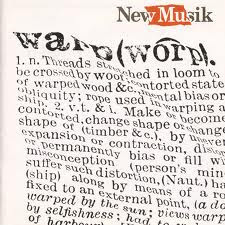 While they may not be one of those bands that you always see listed as 'influential', New Musik were the only band to successfully mix acoustic and electric guitars with Electronica, creating a sound like nobody else before or since. Part Power Pop and part Synthpop, New Musik built a bridge between the two genres and no other band has been able to cross that bridge as successfully as they did. Led by singer, songwriter and producer Tony Mansfield, the band released their debut album, From A To B, on GTO Records in 1980. 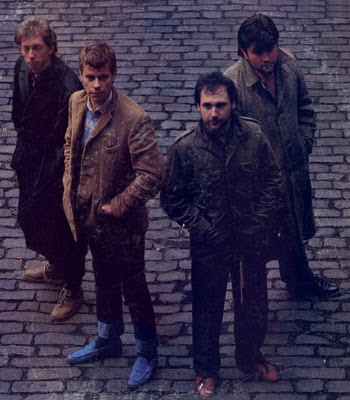 Featuring the hit singles "Straight Lines" (from 1979) and "This World Of Water", it seemed that the band actually had a chance at sustaining a career with hit singles galore but, while they were actually deserving of that success, it didn't come easy for the band. Perhaps it was their lack of image? Maybe it was the fact that the band members appeared to be a bit older than their contemporaries? Could it have been that the band looked more like college professors than bona-fide pop stars? Whatever the reason, Mansfield, along with keyboardist Clive Gates, bassist Tony Hibbert (sporting a beard 30 years before it became the hipster thing to do) and drummer Phil Towner, recorded some of the finest Pop tunes of their era. Mansfield's imaginative production really made the band sound unique while not interfering with the delicious tunes on display. The band inked a deal with Epic Records in the U.S. and while the label tried to figure out whether to release the album in the U.S., they chose instead to release the band's first two singles, "Straight Lines" and "Living By Numbers" (and their respective b-sides) on a 10 inch single as part of the Nu-Disc series. While the gimmick may have earned the band some attention in the States, it wasn't enough and Epic chose not to release the album in the U.S. 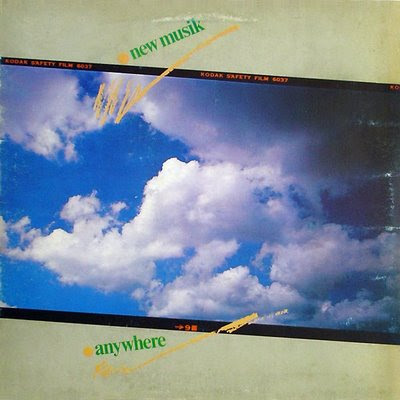 In 1981, the band released their second album, Anywhere, which saw them moving away from guitars and embracing the electronic side of their sound. While guitars were still a part of New Musik's approach to Pop, it was Mansfield's innovative and atmospheric production that made the album stand out. The album contains many of the band's greatest musical moments including the lead track "They All Run After The Carving Knife", which earned the band important U.S. airplay although it was not a single. "Luxury" and "While You Wait" were the album's singles, but, because the tracks were far more mature than the usual Synthpop fodder that filled the charts, they didn't earn the band much airplay in the UK. Again, Epic chose not to release the album in the U.S. Instead, they compiled the singles and key LP tracks from both of their full lengths and issued Sanctuary. Essentially a 'best of' collection, Sanctuary earned the band more airplay in the States on progressive radio stations like KROQ (Los Angeles), but it wasn't enough to raise their profile and, after pushing a few singles with little to no commercial success, Epic dropped the band. With their commercial momentum gone, Hibbert and Towner left the band and Mansfield and Gates carried on as New Musik, bringing in Cliff Venner as the band's newest member. With GTO Records out of the picture as well, the band signed with Epic in the UK and released their third album, Warp, in 1982. Experimental in nature, the album explored the Electronic side of the band almost exclusively and, while extremely melodic, Warp was far from a commercial musical venture. The band embraced the most modern technology available and chose to record a set of songs that would challenge and enhance the listener's audio experience. Interestingly enough, they recorded a cover of The Beatles' "All You Need is Love" and placed it on the album right next to their own original song of the same name. Unfortunately, the album failed to garner much interest and the band split up. Mansfield went on to produce the first two Captain Sensible solo albums, which used a lot of the innovative sounds from his New Musik recordings. From there, he also went on to produce the first two Naked Eyes albums, the debut album from a-Ha (Hunting High & Low) and many other albums that still managed to retain his unique production flourishes. New Musik remain one of Rock and Pop's greatest 'lost' bands, but it's never too late to enjoy their music with recent reissues of their output. Lemon Records, a subsidiary of Cherry Red, reissued their first two albums, From A To B and Anywhere as a 2CD set including bonus tracks. Warp was released individually along with plenty of bonus material as well. Don't hesitate to pick up either release!